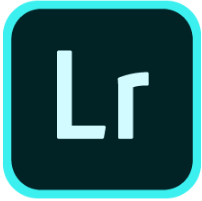 Last week, Adobe released updates for both Lightroom Classic (version 8.2) and Lightroom CC (version 2.2 – the cloud-based version). Along with the usual bug fixes and new camera and lens support, the big highlight for Classic is the new Enhance Details tool. And, for CC, Adobe has added a number of very useful developing tools. Click through these links for details on the updates for camera and lens support. There are more details than we are going to cover in this post. Read about everything on the February Lightroom Releases post over at the Adobe Blog. The Enhance Details tool is yet another development that engages Adobe’s machine learning algorithms, called Sensei. Below, we’ve made a short demonstration video showing how Enhance Details works. In short, this is a tool that we recommend people use very sparingly. It creates huge files and can take a lot of processor time for not a lot of easily viewable results. This tool is for anyone who makes very large prints of their work OR for people who care a lot about the fine details of their photos. Even in both of those cases, we suggest the tool be used sparingly given the relative size of the files that get created. For more info, check the Adobe Help website pages regarding Enhance Details. Adobe has added five new developing tools in the update for Lightroom CC version 2.2. These are important updates that users have been asking for that demonstrate Adobe’s ongoing commitment to keep similar functionality between the two Lightroom versions. The Adobe Blog post for February Lightroom Releases has more details on all of these tools. What’s going on when Lightroom’s import preview window says, “Preview Unavailable For This File?” You shoot camera raw and, you probably have a new camera. Adobe can’t update a new camera’s updated proprietary raw data the moment it comes out. You usually have to wait for these camera raw updates to be added to the next “dot” version release. This would be for Creative Cloud apps of Lightroom and Photoshop. The other reason could be that you’re using Lightroom 6, Photoshop CS6 or earlier. Lightroom 6, the last version of Lightroom that was sold as a DVD installation (AKA “perpetual version”). This was last updated on December 17th, 2017 and there will be no more updates, ever. If you’ve not updated your original Lightroom 6 to 6.1.4, there are updates and you can find the Lightroom 6 updates here. The update offers some bug fixes and adds the camera raw updates current at that time. There’s a pretty good chance that converting the proprietary camera raw files of a camera manufacturer to DNG, will eliminate the “Preview Unavailable For This File” warning. DNG is the universal camera raw format, that both Lightroom and Photoshop can recognize. In this video, you’ll learn how to download the Adobe DNG Converter, change your proprietary camera raw files to universal DNGs that Lightroom can “see” and import them to Lightroom. What’s the workaround if the Adobe DNG Converter doesn’t solve the issue of importing your new camera photos into Lightroom? Camera manufacturers usually have their own software, like Nikon’s ViewNX-i. They update the software with each new camera release to include camera raw formula changes and can also convert to DNG. Check your camera manufacturer’s website. Their software should hold you until Adobe does their next dot release update.